Meet at DEKALB COUNTY COMMUNITY FOUNDATION, 475 DEKALB AVE, SYCAMORE at 1:00pm and walkers will explore as far as the Salem Lutheran Church. 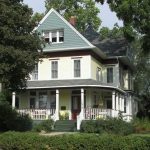 Bigolin will share lots of interesting stories connected to the people who made this picturesque street one of the most sought out locations in Sycamore. Search “walking tour” in the DCCVB Calendar of events for more tour dates.